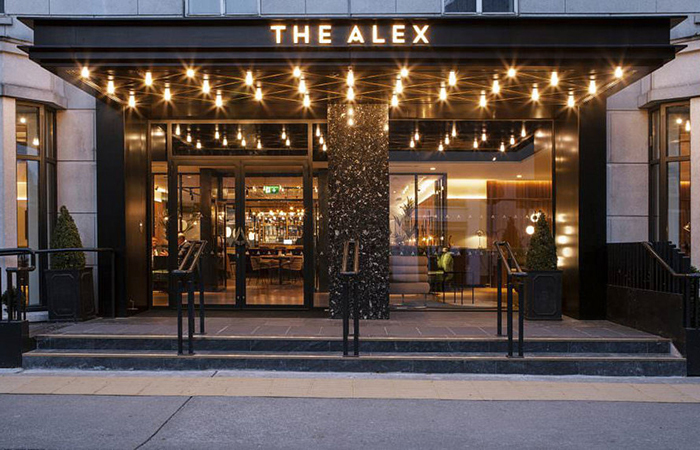 Transforming one of Dublin’s most established hotels to a contemporary four star property, The Alex is a 122 bed hotel with full food, beverage & function room facilities. 21 Spaces fully refurbished and transform a dated 1990s structure into one of Europe’s coolest hotel properties. Their team created and designed every facet of the property including carpets, rugs, furniture and of course the interior design architecture. 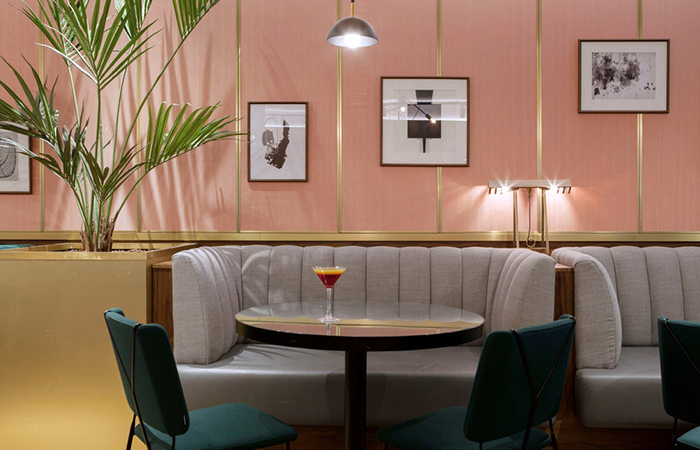 Located in the Merrion Square area, The Alex now carries the hallmarks of a strong, individual identity in order to appeal to a new generation of travellers looking for increased dining and working flexibility. Playful and not too formal, the interiors have complete bespoke furniture and fittings predominantly made by Irish craftsmen. The cultural and historical aspects of this former industrial area and the tramlines that used to sit adjacent to the front door, informed and inspired the design and detailing throughout the renovation of the hotel. Reinterpreting key local 1950s influences of this regenerated area has enabled 21Spaces to give the hotel context and resonance. 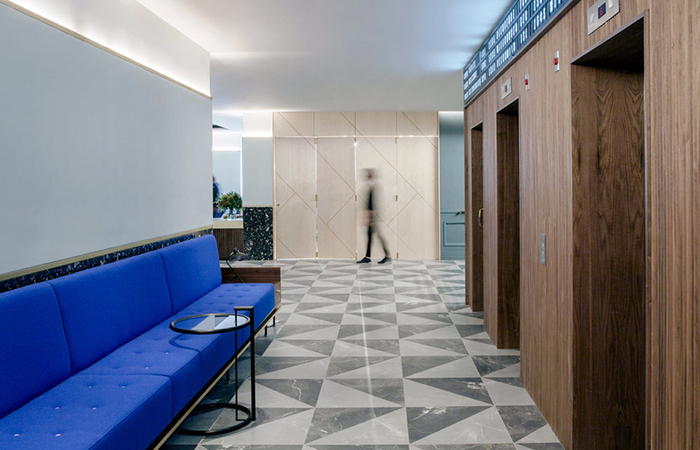 Moving the main entrance to the middle of the building opened up the space to natural daylight and allowed the design team to reconfigure the ground floor layout. Where previously there were dormant areas, the designers maximized the use of every corner, creating different focal points, each with its own identity and purpose. An increasing demand for hot desk facilities led 21 Spaces to create a dedicated Library and Working area. Located to the right of the entrance, this inviting airy space with large windows has two long desks alongside an area of fixed seating. Fashioned from solid walnut by Irish craftsmen based in Belfast, each desk proudly displays natural markings and cracks complete with butterfly ties. Accents of walnut feature elsewhere; from the school-style chairs with stained walnut seating and flooring to the locally inspired vertical walnut veneer pencil panelling on the walls. In a nod to traditional hotels, a series of newspapers hang suspended on walnut rods to encourage visitors to pop in and use the welcoming space. 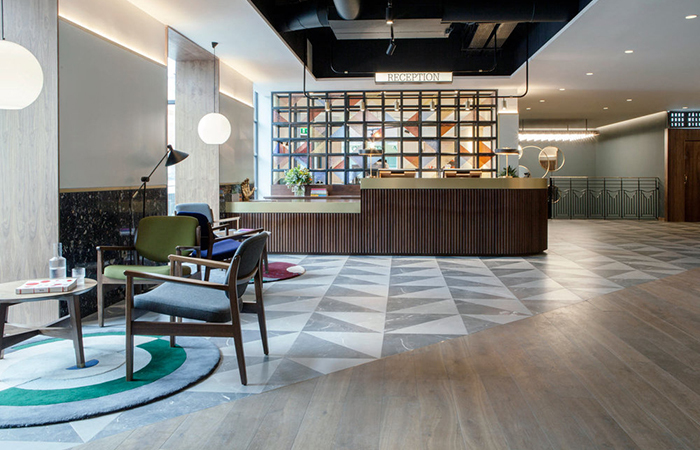 In the new reception, floor tiles reference local building geometric designs, as does the softly coloured triangle stained glass panel that sits behind the reception desk. High level of detailing is evident in each of the bedrooms and suites. Against a backdrop of soft dusty pink walls, velvet cushions and soft wool throws from Foxford Woollen Mill in Mayo, large circular metal mirrors are combined with handcrafted customized walnut wardrobes and leather headboards made by O’Donnell Furniture Makers in Cork.